Plus, BPI Sinag Business Challenge opens doors to young and social entrepreneurs and Chinese Embassy in Manila kicks off 1st film and food festival. 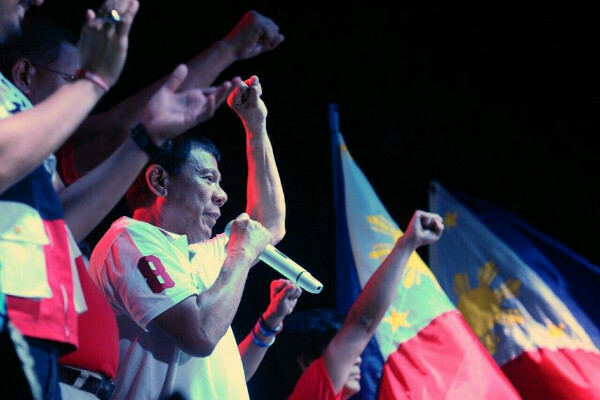 After snubbing his proclamation in Congress, President-elect Rodrigo Duterte announced some of his Cabinet members in a televised press conference in Davao City on Tuesday, May 31. The Duterte Cabinet remains incomplete but the names he has introduced so far are mostly his allies and close friends without any post for Vice President-elect Leni Robredo. “I assure the members of my Cabinet are people of integrity and honesty… I will not micromanage, but I will hold them accountable,” Duterte said. Retired General and former Armed Forces of the Philippines Chief of Staff Hermogenes Esperon Jr. (National Security Adviser); former Department of Dangerous Drugs Board Undersecretary Edgar Galvante (Land Transportation Office); former Region 12 Police Director Alex Monteagudo (National Intelligence Coordination Agency); former Philippine Marine Captain Nicanor Faeldon (Bureau of Customs); former PNP Director General Isidro Lapena (Philippine Drug Enforcement Agency); retired General Jaime Morente, a former police chief for Southern Mindanao (Bureau of Immigration); and retired Major General Delfin Lorenzana (Department of National Defense). Meanwhile, Chief Superintendent Ronald “Bato” dela Rosa will head the Philippine National Police and Southern Luzon Command Chief Lt. Gen. Ricardo Visaya will lead the Armed Forces of the Philippines. Some of the most controversy-stricken agencies, Bureau of Internal Revenue and the Land Transportation Franchising and Regulatory Board will be headed by Cesar Dulay and Martin Delgra respectively. Lawyers Vitaliano Aguirre II (Department of Justice); Mike Sueno (Interior and Local Government); Perfecto Yasay Jr. (Foreign Affairs); Alfonso Cusi (Energy); and Silvestre Bello (Labor and Employment) are also part of the Cabinet. Former Cabinet members of previous administrations Leonor Briones and Benjamin Diokno were named as Education and Budget secretaries respectively, while Carlos Dominguez will head the Finance department. Jesus Dureza will also serve as the Peace Adviser again after his stint during the Arroyo administration. Former Manila International Airport General Manager Alfonso Cusi is the new Energy head, while Jose Calida, one of Duterte’s campaign managers is the new Solicitor General. Previously announced Cabinet members include: Las Piñas City Representative Mark Villar, who will serve as the Public Works secretary; former North Cotabato governor Emmanuel “Manny” Piñol to lead the Department of Agriculture; while former Clark Development Corporation President Art Tugade is the new transportation chief. 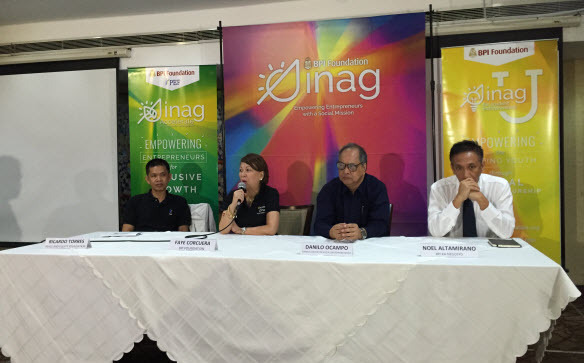 After a successful run last year, BPI (Bank of the Philippine Islands) Foundation launched Sinag Business Challenge anew, this time with two categories, highlighting youth and social entrepreneurship. “Social entrepreneurship is a very unique business model. It’s there to solve a problem—whether environment or societal—and we’re ready to reach more areas that could produce the most employment,” BPI Foundation Executive Director Faye Corcuera told Entrepreneur.com.ph on the sidelines of its presser on Tuesday. Sinag Business Challenge 2016 will have two categories: Sinag U, which is open for student entrepreneurs in participating universities and Sinag Accelerate, which reaches out to social entrepreneurs. The foundation tapped the help of Ateneo Center for Social Entrepreneurship (ACSENT) for Sinag U to better cater to the incoming participants once they win the program. The 40 invited universities, from Benguet University to University of Southern Minandanao, will each have three representatives who will compete in the regional boot camp. From there, the participants will be drilled down to the top 10. These groups will then undergo the national boot camp until the final presentation in December this year. The top five winning teams will each receive P100,000 ($2,141.28) worth of seed grant and a 6-month mentorship. The contest is open for any team with a viable business idea and wish to pursue it once they graduate. “We believe the youth will be a huge part in the alleviation of poverty in the country. Our program is also in support of The Youth Entrepreneurship Act,” Corcuera added. “We are trying to reach the far flung areas, and with the help of Peace and Equity Foundation (PEF), we hope to work with those in Islamic financing, especially in Muslim Mindanao and other agri communities nationwide,” Corcuera said. The Chinese Embassy in Manila kicked off its first film and food festival on Tuesday, to celebrate the 41st relations between China and the Philippines on June 9. The festival kickoff was sponsored by Chinese mobile tech company Huawei, along with restaurant brands Viking, Niu, President, Mey Lin, and Four Seasons. The food and film festival will run for a week at DLSU and will show six films, starting off with Jackie Chan’s Little Big Soldier. In cooperation with the De La Salle University (which offers Chinese Studies), the festival, said Cultural Counselor of Chinese Embassy to the Philippines Pan Feng, aims to highlight the fact that the two countries have been “good partners, neighbors, and relative” over the years. The country and China has been in territorial disputes over South China Sea. China President Xi Jinping congratulated President-elect Duterte on Monday, and expressed hopes that the relations of the two countries would get back on track.